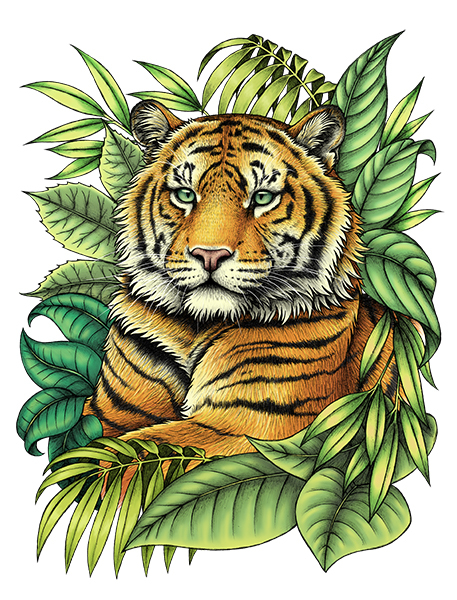 Sumatran tigers are a critically endangered subspecies found only on the Indonesian island of Sumatra. They are the last of Indonesia’s tigers, with as few as 400 surviving in the wild today. I created this portrait of Jaya who was born in 2015 at Chester Zoo where the tigers are part of the European Endangered Species Breeding Programme, working to save these animals from extinction.